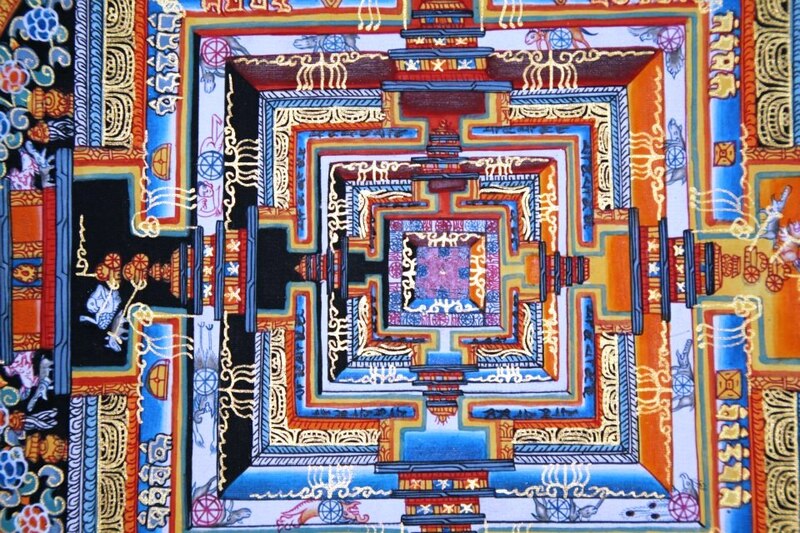 Few things actually describe or define Nepal like thanka paintings do. The detail and devotion speak about the better side of Nepal and her people and these original paintings last a lifetime. With Buddhism well established and the fastest growing religion on the planet today, these paintings are a Nepali souvenir whose time has come. My problem has been where to buy one. 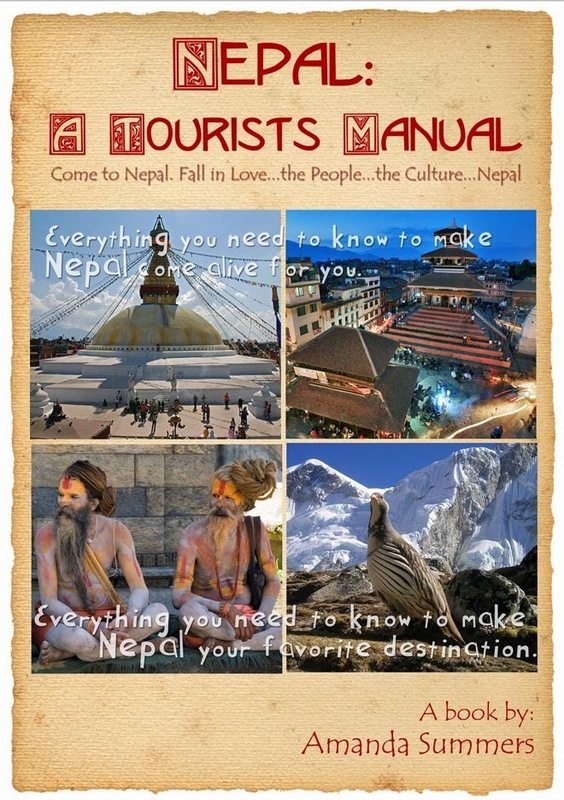 Most tourists are not aware of the commission structure in Nepal. If your tour guide takes you into a thanka school you will pay the commission on top of the normal store price. No problem, you say? A 10% commission would probably be fine for most tourists. What would you say to a 100% commission added to the normal price? This literally doubles the cost. Are you happy with that? Most consumers would be quite put off by that, but that is the part of the process tourists are NEVER told. This is a fact-the 100% commission is added to the price of the thanka if you go in with a tour/trekking guide. Even if it's someone you met on the street, or that guy that gets into the taxi with you. That is the system here in Nepal. I am neither making this up, nor am I exaggerating. This craft shop has enjoyed Lonely Planet referrals for years. If a Nepali 'friend' takes you to a place like this you will likely be paying his commission on top of the price. The other problem with it is that you will have to spend a lot of time looking at the paintings. It will be difficult for you to extract yourself from the shop without buying something-at this inflated price. Most tourists have a limited time to be in Nepal with many things to see and do, so why should you waste your morning being high pressured to buy something you probably didn't know you needed. The other problem is they are so beautiful that one can easily think the value is much higher-because it should be. Creating these pieces is an act of devotion in itself and the energy they carry is simply divine. 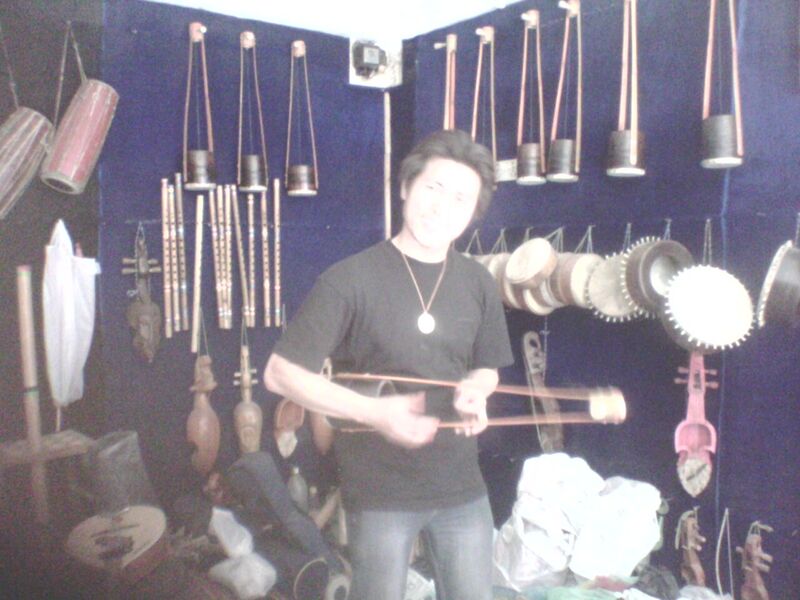 I went to this Nepali crafts exhibit and found many lovely handicrafts and some wonderful merchants. 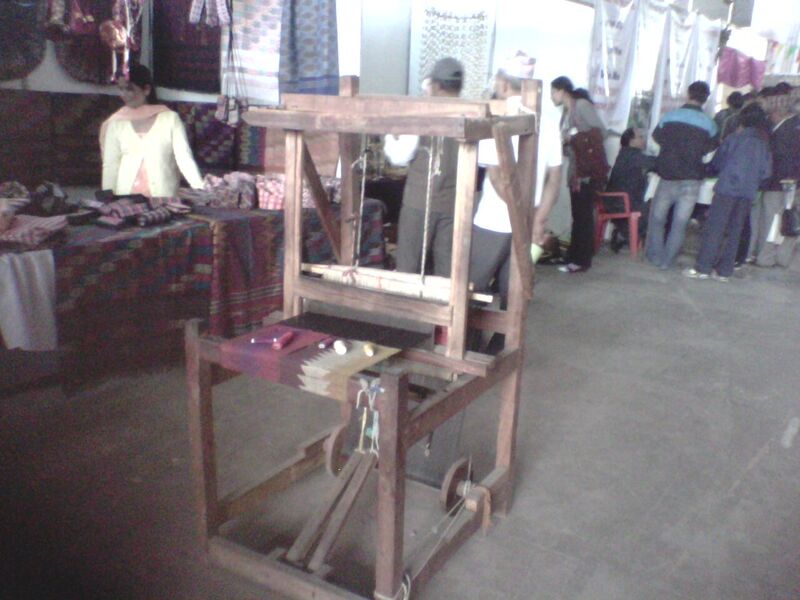 This is a loom they still use in Nepal. I’d like to let you in on another secret most tourists do not fully understand. The value of the truth in certain parts of Nepal is different than it is in the West. 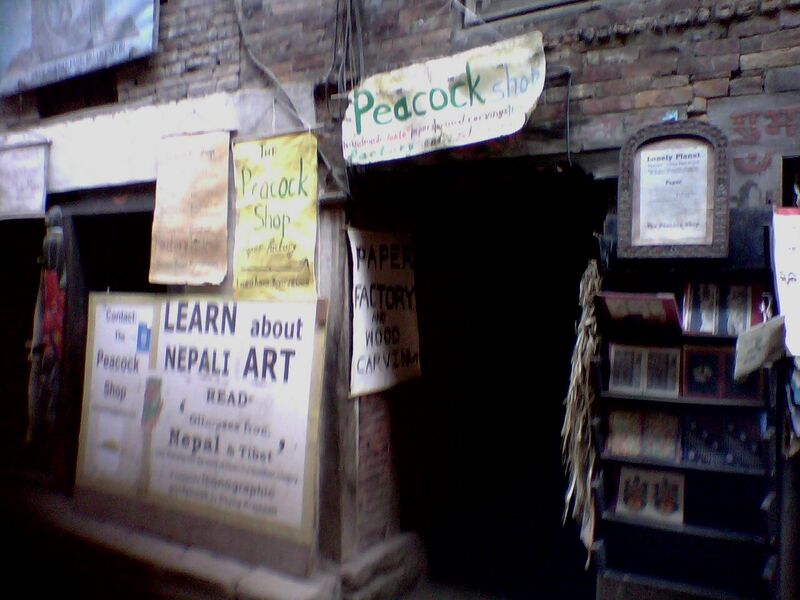 For example, I was walking along in Thamel, Kathmandu's tourist district, when I was stopped by a young man with hats, gloves and socks hanging on a make-shift pegboard in his street shop (actually attached to the outside of a building). I demonstrated an interest in the hats, which seemed to be made from natural materials. "These are all made from hemp," he proudly explained. "No, they aren’t," I said as I put the hat down-like I knew what I was talking about. Without even hesitating long enough to take a breath, "No, those aren't but these over here are 100 % hemp." I've seen this attitude demonstrated countless times; there is no shame in lying. I suggest in my book that the correct response to, "What brings you to Nepal?" is "Business." That is the reason I suggest to tell this white lie.I only suggest sidestepping the truth one other time in the book, and I never suggest slipping into national parks, temples or UNESCO sites to save money. This music store in Kathmandu can provide some amazing values to take back home. So, what to do about these lovely paintings? I’ve found one thanka painting shop and school with a different business model. These young men, Kamal and Sanjaya, do not pay commission to tour guides. When I ask about a wholesale price on one Kamal always gives me a strait answer. Student thankas, for example, can wholesale for a lot less than you might think, depending on the size and difficulty of the piece. However, if you want a genuine keepsake that will last for the rest of your life, a master level painting will be a real bargain. You can even commission one while you are here and they can send it back for you. My suggestion is to have your thanka put in a silk border like this. You can even choose the colors. Not only do they have an honest core, but they do not live above poverty level, even as the owners. They live a peaceful life above their thanka shop with the students. To give you a bit more understanding of the lifestyle they live, in the winter time they come to my apartment to visit me and take a hot shower before they leave. Yes, not only do they lack hot water, but Changu Narayan Village is completely dry of running water, as is most of Bhaktapur and presumably the Kathmandu Valley prior to monsoon. This is a close-up to give you an idea of the detail of these art pieces. When Kamal and Sanjaya come to visit me they cook dinner for me and then clean the kitchen. They never accept money from me, and in keeping with the true Nepali spirit, have filled my apartment with lovely, high-quality thankas as gifts. Although I tell you about Kamal and Sanjaya and describe their behavior and lifestyle, most of the tourists I’ve met are equally attached to some of their Nepali friends. That is one of the things I love most about Nepal, the lovely people who just love you because that’s what they do. Many of those people are thanka shop owners and artists, merchants and even politicians. They are equally as impressive as the Himalayas. So, unless you happened to have met an honest thanka shop owner to whom you would like to give business, I’d like to suggest that you take an afternoon to see Changu Narayan while you are staying in Bhaktapur. Particularly prior to or during monsoon, you will enjoy spending a few days in Bhaktapur instead of Kathmandu. As I state in my book, Bhaktapur has better weather, less pollution and a cleaner municipality. And, yes, the guest houses do truck in water. 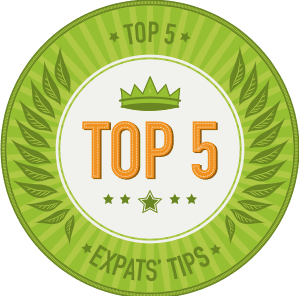 It makes a great base for exploring the southeast portion of the Kathmandu Valley and is the beginning of many free warm-up day treks and hikes. There are lots to see in this area and there is even a new, Western style water park opening soon just outside Bhaktapur. I will definitely borrow someone's child to go with me to check it out when it opens. 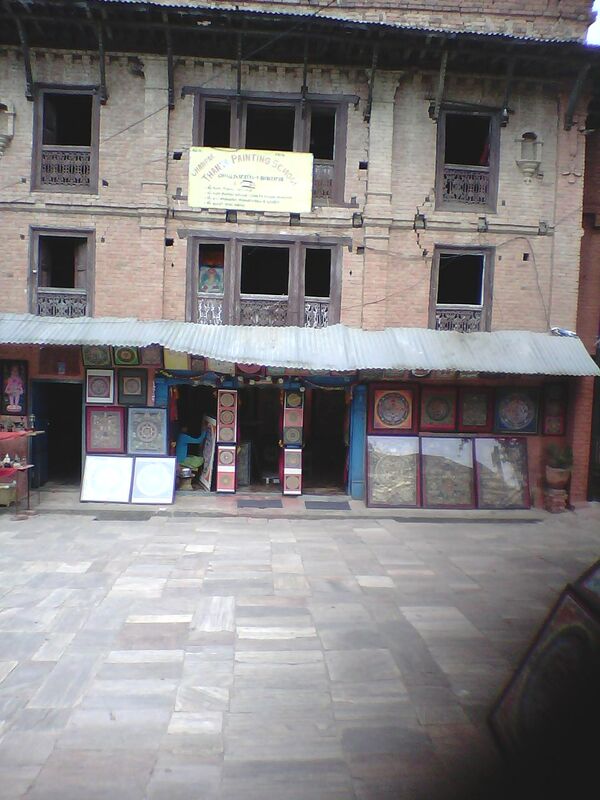 The Sunapati Thanka School and Shop is located on the steps directly across from the Changu Museum. Furba, the mask shop owner is just after the landing area where you would turn to the museum, up a few stairs and on the right. I recently mentioned him in another blog post. This is the Sunapati Thanka School and shop. This is actually where they live. Notice that there is no glass in the windows. The article provide you some interesting information on shopping centres, shopping malls, discount shopping.